Gotz Classic Kidz are here! Today our first delivery arrived from Gotz. Just a few boxes and what would there be inside? 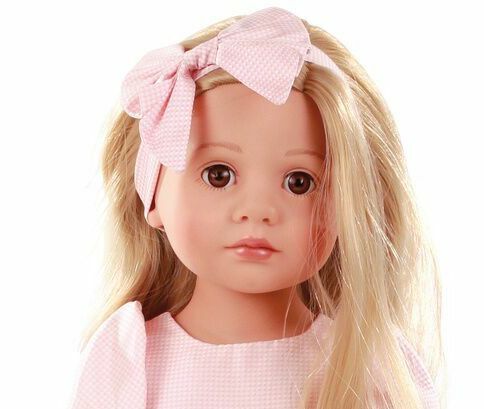 I was really pleased to see that we had received a selection of dolls from across the range including many gorgeous baby dolls, Precious Day Jessica and Elisabeth and some of the new Classic Kidz range. 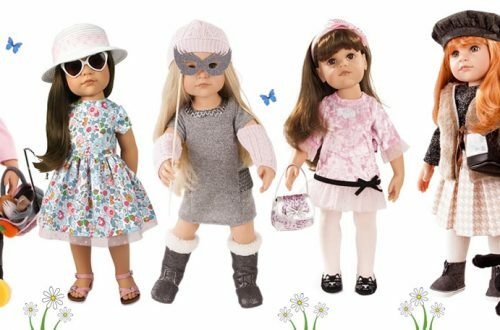 Classic Kidz are a new range of dolls for this year. They are designed to be beautiful and feminine, appealing to those little girls who love to dress up and look their best. Their beauty and quality will also appeal to those customers wanting to purchase the highest quality doll for their little girls, as well as the discerning doll collector. There is a growing number of people collecting play dolls as opposed to the more expensive collectors or artist dolls. Classic Kidz dolls have the same face moulds and multi jointed bodies introduced last year as the Happy Kidz range but the presentation of the Classic Kidz is far superior to the Happy Kidz dolls. The design of their outfits, the fabrics used, the attention to detail and finish are simply wonderful and it is this that makes the Classic Kidz dolls more expensive than Happy Kidz. The Happy Kidz dolls are dressed in brighter, simpler outfits in sportier designs for the dolls to play in and have fun. Today Classic Kidz Luisa and Vroni arrived. I hope Laura will be in the next delivery. I was taken aback by how beautiful Vroni is. 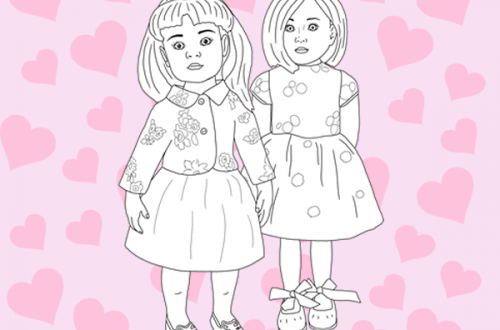 Her hair is carefully plaited and her dolls clothes are beautiful – the colours, fabrics, lace – everything. Lovely. Hello Pat, I have to say that this face mould is my absolute favourite and I wish Gotz would make some again. Only today in the Gotz Dolls Fanclub on Facebook someone was saying that this face mould is hard to find and as a result are getting very expensive for collectors to buy. I’m afraid it’s just a matter of looking on eBay etc. and hope that a Luisa turns up somewhere. I did pass on some feedback to Gotz in 2017 that we needed another Luisa and there wasn’t one in this years collection so maybe they will have listened and there will be one in 2019.